November 2016 proposed 5108 Fourth Avenue. Rendering by Magnusson Architecture and Planning. A rendering has been revealed of the proposed eight-story, 49-unit mixed-use project at 5108 Fourth Avenue, located on the corner of 51st Street in Sunset Park. The rendering comes as the project was recently approved by Community Board 7 as part of the city’s Uniform Land Use Review Procedure (ULURP), Brooklyn Daily reported. If all approvals are granted, the new building would feature Brooklyn Public Library’s new Sunset Park branch, measuring 21,000 square feet. There would be 49 affordable rental residential units on the floors above, ranging from studios to three-bedrooms. The non-profit developer Fifth Avenue Committee and the Brooklyn Public Library are the developers. Magnusson Architecture and Planning is the architect. Groundbreaking is tentatively scheduled for summer 2017, with occupancy expected by 2020. 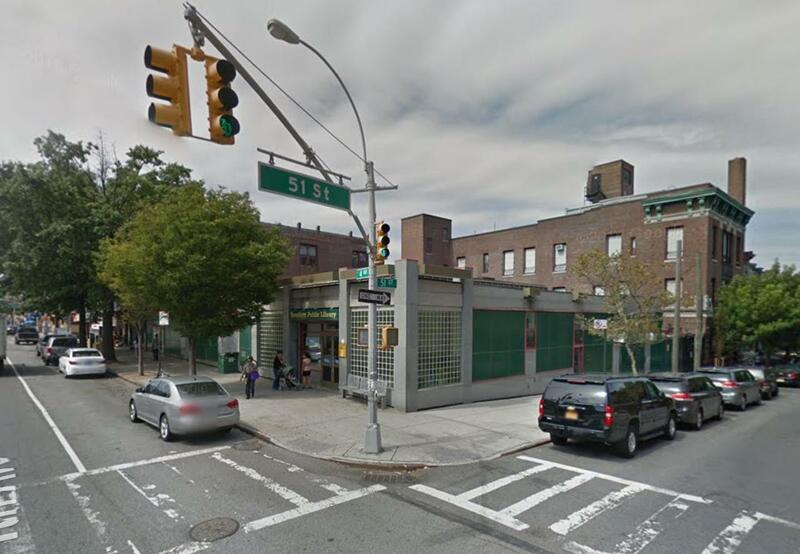 The site is currently occupied by the city-owned, single-story Sunset Park library branch. 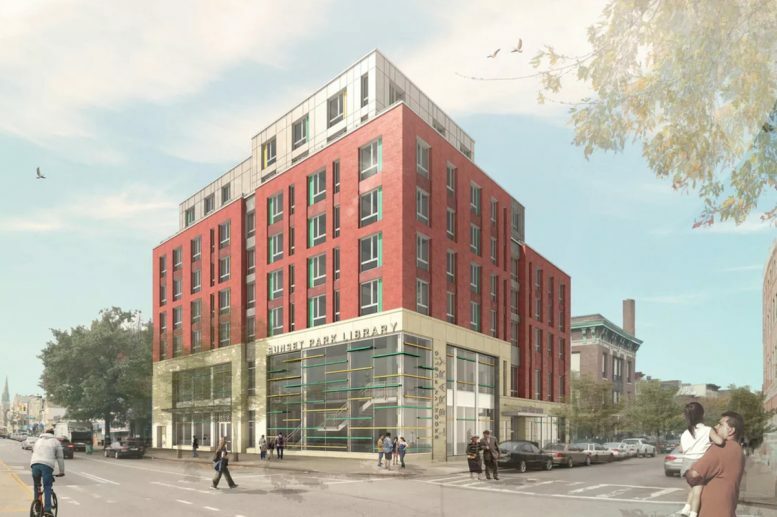 1 Comment on "Revealed: Eight-Story, 49-Unit Library-Residential Project Proposed At 5108 Fourth Avenue, Sunset Park"